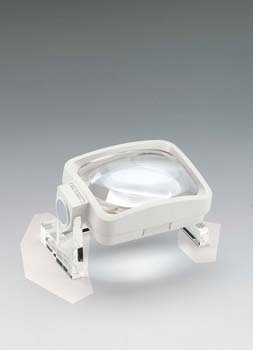 The Aspheric II range provides optimal distortion-free vision. Particularly suitable for reading and looking at pictures with adequate ambient lighting. 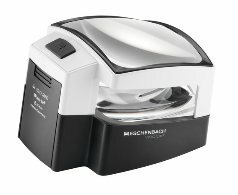 The Eschenbach Visoflex Magnifier has an ultra-modern, functional design that is small enough to be portable. 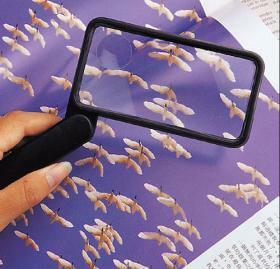 The design offers three different types of magnifier in one. 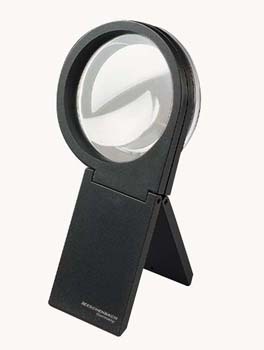 Eschenbach Pendant Magnifiers are the inconspicuous ideal magnifier for those that need a little extra help throughout the day. The Eschenbach Reading Desk and accessories are designed to make reading easier and more comfortable, especially when reading for a long period of time. 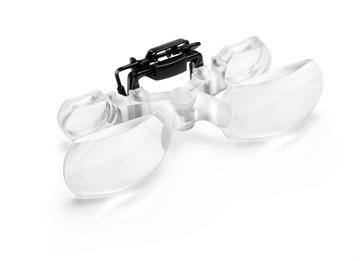 Eschenbach Maxi-Plus Around-the-Neck magnifiers are perfect for tasks that require both hands to be free such as in sewing, knitting, handicrafts and other hobbies. 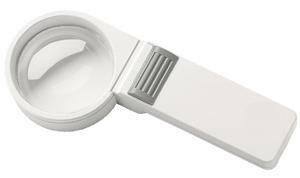 This all-purpose hand held magnifier features a glass lens and a nickel rim with a black plastic handle. 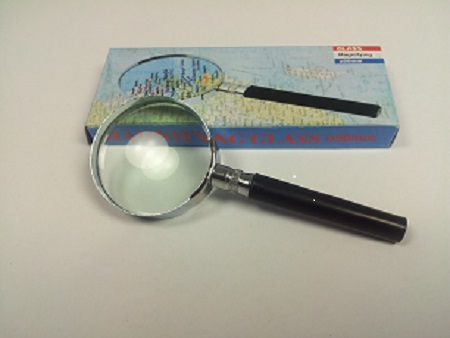 An all-purpose hand held magnifier features a glass lens, a nickel-coated rim and stylish handle of high-quality black plastic. 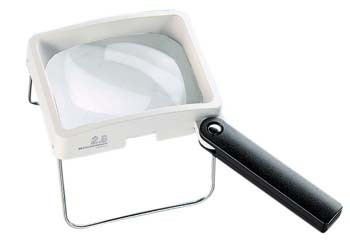 The illuminated reading magnifier with the extra illuminated reading line. Makes easier reading and increased reading speed. 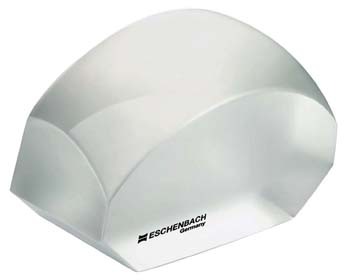 The Eschenbach Vario-Maxi Stand Magnifier boasts the largest extruded lens in the world. With such an advanced lens complete pages of a book can be read in one viewing. 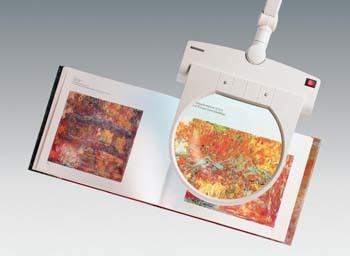 The Eschenbach Mobilux Economy Illuminated Magnifier is great value for money. Ideal for reading small print at home and on the move, eg when searching for telephone numbers or looking at prices in the supermarket. 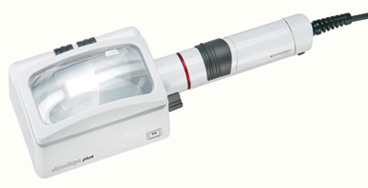 The new 1511 Mobilux series of illuminated hand-held magnifiers features LED illumination with many new benefits! SMD LED (light emitting diode) illumination provides an alternative light source preferred by many patients due to its distinctly whiter spectrum and longer useful life. In addition to the bulbs offering nearly unlimited life (50,000 hours! 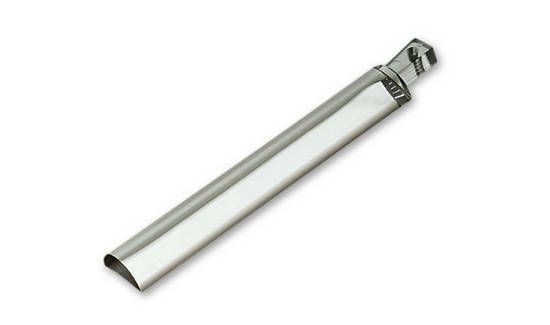 ), the batteries last 5 times as long as when used with incandescent bulbs! 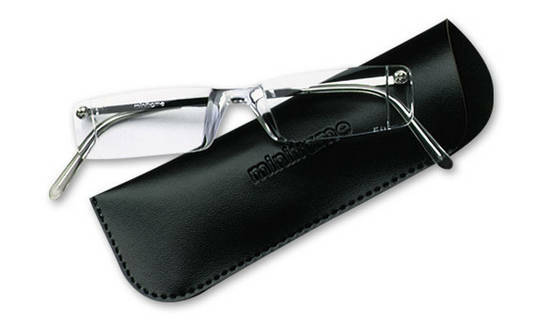 Reading glasses for emergency use, or as a spare or additional pair of glasses for close work. Only intended for short-term use. NOT suitable to wear when driving! 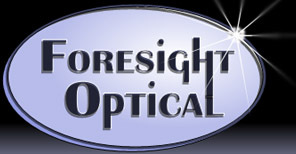 The binocular reading glasses with convergence support for 4, 5, 6, 8 and 10 dioptres. 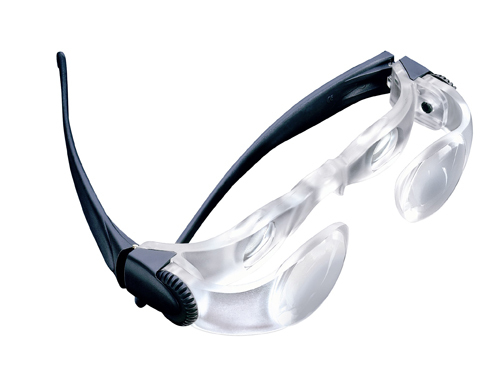 Noves lets visually impaired people experience improved vision immediately. 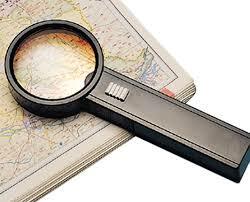 Particularly suitable for use while out and about when no magnifying glass is to hand. Does this sound familiar? 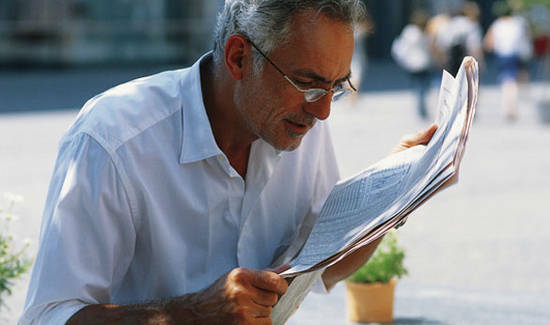 Reading is getting increasingly more strenuous and your arms gradually seem to be getting shorter, but you're still loath to admit that the time has come to succumb to your first reading glasses. 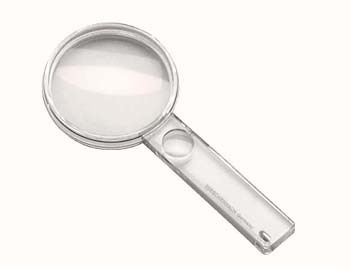 This magnifier has a folding handle for adjustable angle and has a protective pouch in soft plastic for carrying with you. easyPOCKET – the tiny lens with powerful magnification. 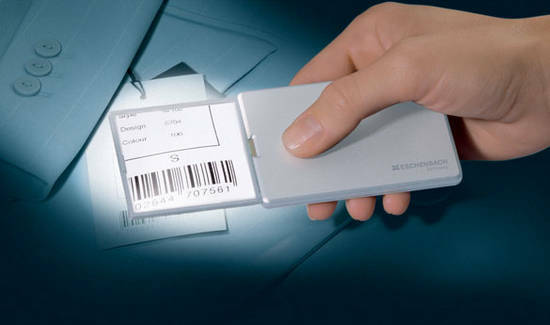 Whether you wish to read the small text printed in the programme when you’re sitting in a darkened theatre or study the wine list in a restaurant with subdued lighting after the performance, whether you want to read the contents printed on packaging whilst you’re out shopping or decipher the small print when you’re signing a contract – whatever your needs, easyPOCKET, the illuminated pocket lens no larger than a credit card and with a thickness of only 6 mm, should be your companion at all times. 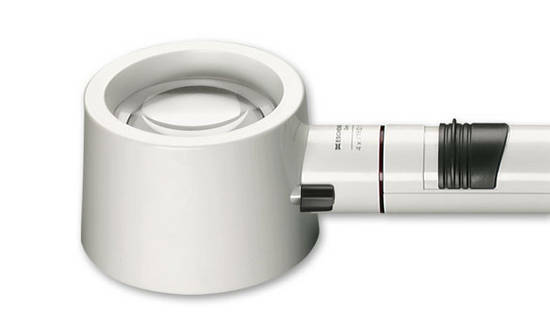 Eschenbach Galilean System Rido-Med telescope attachment for spectacle wearers. Galilean systems consist of a positive objective lens and eyepiece lens of a negative. Double the Size of your TV Screen. We obtain much of our daily information from the television. 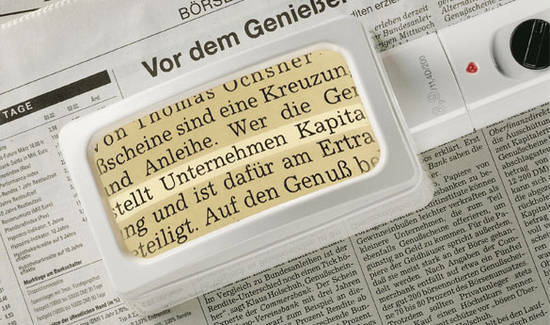 The Eschenbach Viso-Lux Stand Magnifiers provide an easy working area underneath the large lens to enable you to write, do crosswords, carry out delicate handicraft tasks, etc. 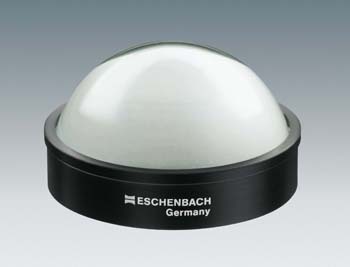 The Eschenbach Visolux+ is a new, illuminated stand magnifier from Eschenbach with many features that will please users including its greatest benefit: a large, distortion-free viewing area illuminated with bright LEDs. 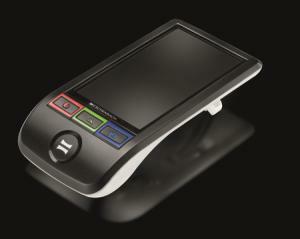 The VisoLux+ is easy to use. Simply push the ON button, place it over reading material, photos, coins, or stamps, and you’re ready to go! 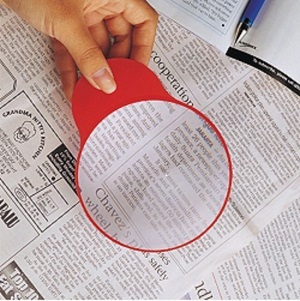 The Shape Reading Magnifier is lightweight and made of thin plastic. 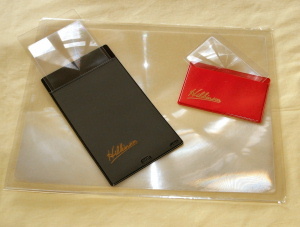 It can be easily slipped between the pages of your books for convenience and storage. 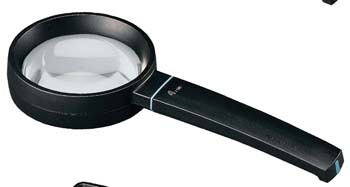 This lightweight bar magnifier is ideal for reading or viewing small detail. It has a clip handle for book page mark. 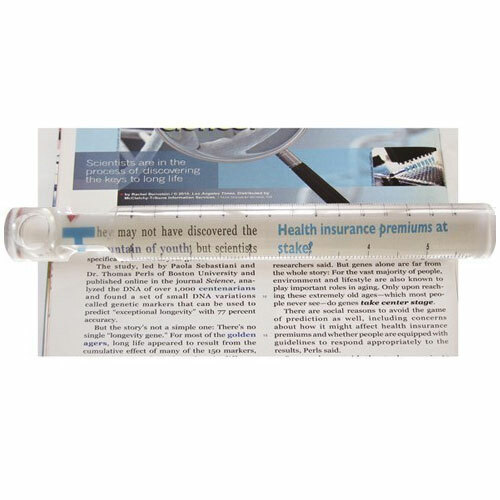 These magnifiers have a glass lens mounted in a frame with plastic handle and they are ideal for using in low light that makes reading difficult. It will rest on the page to give a clear bright image. Available in 75mm and 50mm lens sizes. 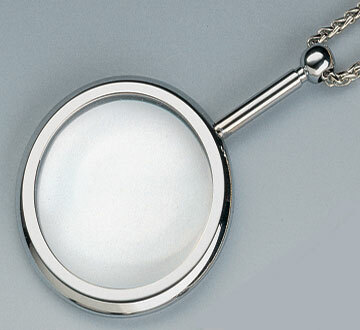 Magnifier enclosed in attractive silver tone pendant. Matching 31 1/2" long silver tone chain. 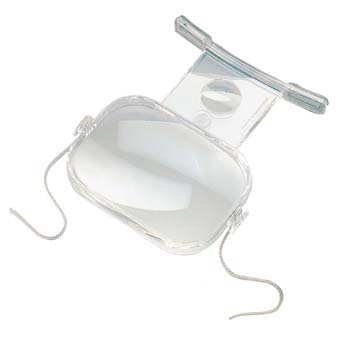 Specially designed for spectacle wearers. Enables you to see the TV in double the size - particularly important when viewing small screens. 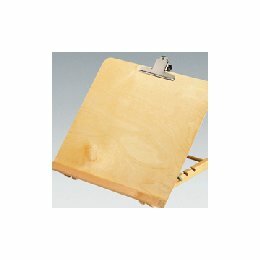 Ideal for reading subtitles and all text on the screen. Do you have difficulty writing cheques, doing crossword puzzles or reading? 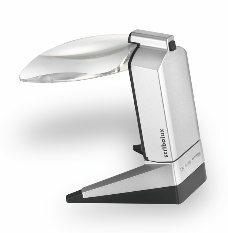 The new Scribolux illuminated stand magnifier is perfect for these tasks because it features a large, open, viewing area for reading and writing.